It's only two hours long, but that's just the first episode. Telltale's adaptation of Bill Willingham's Fables, The Wolf Among Us, has crossed the great divide and launched on iOS mobile devices. Phone and Pad users can now indulge in the folkloric wonderland's first episode, Faith, for $4.99. 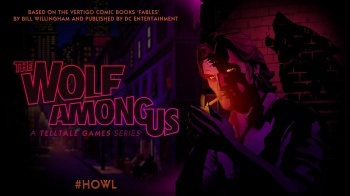 You play as Bigby, aka the Big Bad Wolf, investigating a murder in Fabletown. Was the killer Tweedledee, Bluebeard, Prince Lawrence, the Woodsman, or someone else? The first episode's about two hours long, so don't expect to be here forever, but the joy of episodic gaming isn't the individual episode. It's the experience as a whole, and Telltale knows how to make those experiences sing.